Exploring the provinces surrounding Bangkok is something we really enjoy doing and have been doing increasingly more of. Partially because we have less time for travelling further afield and because of the easiness of getting to these places. Within 3 hours drive of Bangkok are some great hidden gems worth visiting. One special place is Wat Pho Bang Khla located in Chachoengsao province. It might seem like an average Wat when you drive up in your car, a place with lots of trees but as soon as you step out of your car you’ll hear the hum and screech of at least a thousand fruit bats that call the temple home. 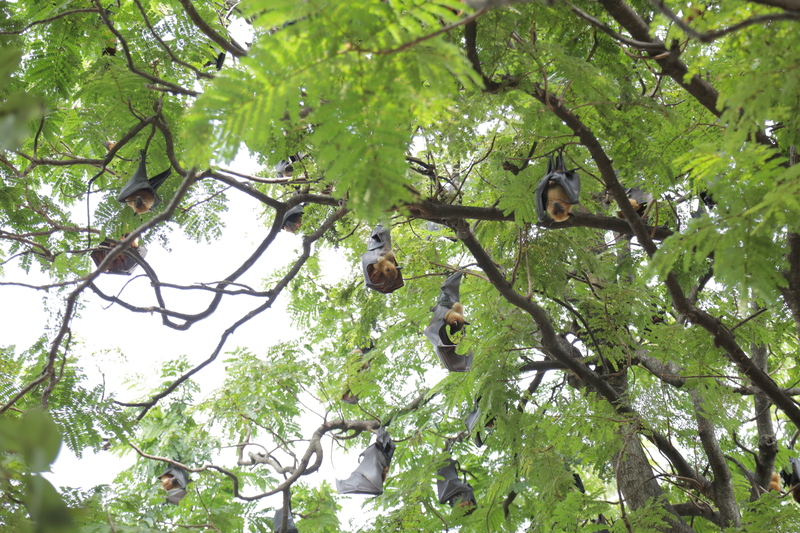 The trees add lovely shade to the temple grounds and as well as many resting spots for the bats to hang out. Even though there were a dozen or so Thai tourist (we were the only foreigners) the place still felt very peaceful and tranquil. To see the bats up a little closer you can go into a small open air building on your right as you enter the temple grounds from the carpark. If you come by boat it is at the other end of the temple grounds. If you get tired of seeing the bats you can also buy a loaf of bread to feed the many small fish in the river outside the temple. Getting to Wat Pho Bang Khla by public transport seemed time consuming and a little uncertain, so we travelled by car, which gave us greater flexibility with what we did throughout the day. But it is possible to travel to Chachoengsao town (approximately 20 kilometres from the Wat). Actually your choices for getting to this town are abundant either minivan from Victory Monument, Public bus from either Ekkamai Bus Terminal or Morchit 2 Bus Terminal or by train. I think the next time we go I’d choose to go by train – you can find the train schedule here – select from Bangkok to Chachoengsao Station. There are multiple trains departing throughout the day that stop in Chachoengsao. 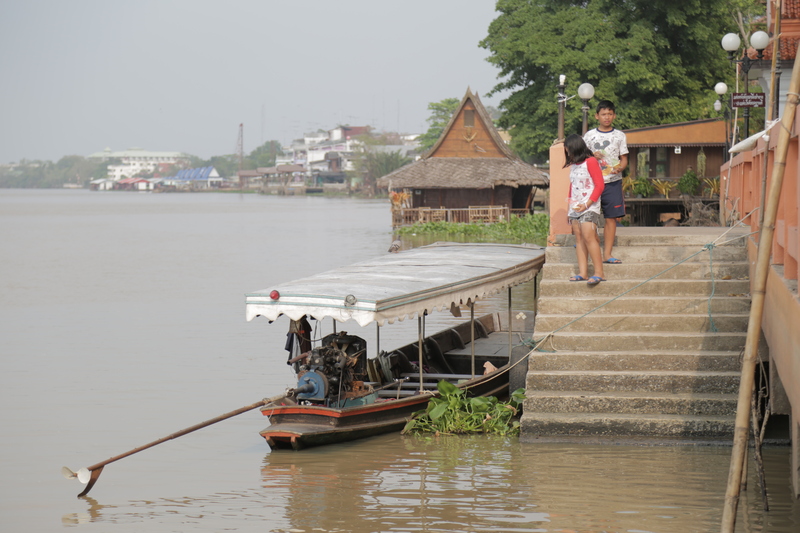 Once you arrive in Chachoengsao you can catch a boat from Tawan Ok Plaza Pier to Wat Pho Bang Khla. But if travelling by car from Bangkok head towards Chachoengsao province and get on the 304 highway, then the 3121 highway towards Bang Khla district. Once in Bang Khla follow the 3121 straight ahead until you reach a fork in the road (there is a statue here of King Taksin), go left at this fork until the end of the street, turn left again and the temple is a couple hundred metres down on the right (it is set back from the road a bit so easy to miss so keep an eye out. There is ample parking too. « Food Friday – Moo Manao – Lime Pork Salad!